Smooth, white, spacious and stable; the perfect, standing-height table at which to create. 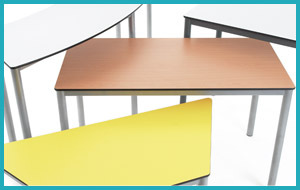 Matches zioxi Student Tables range (the Project Table is larger) so you can have a range of ‘same but different’ tables in the same room. For art, textiles, food technology and all practical subjects.